Moroni (Comoros) (AFP) - Voters in the Indian Ocean archipelago of the Comoros cast their ballots in an election for a new president Sunday from a crowded field of 25 candidates, with a struggling economy and poor infrastructure high on the agenda. Officials started counting the ballots after polling stations closed, using candlelight and camping lamps in a country that suffers from endemic electricity shortages that paralyse the economy, said an AFP journalist in Moroni. Polling in the country of less than one million people took place without any major incidents, although some were delayed by the late arrival of voting materials. Voting in areas affected by delays continued after the official closing time at 6:00 pm. 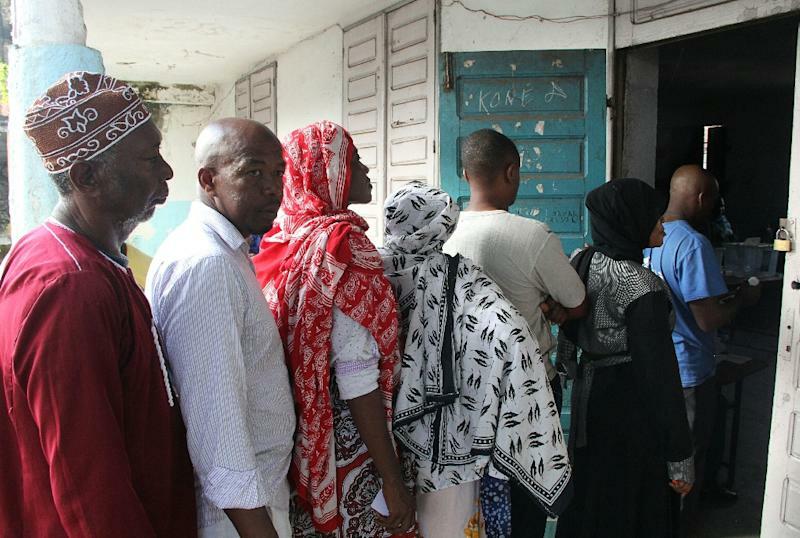 A total of 159,000 voters on Grande Comore island were eligible to vote in the first round of the election, in accordance with electoral rules that stipulate the president is chosen on a rotating basis from one of the archipelago's three main islands. Among those running for president are a former coup leader and the vice president. Dhoinine comes from Moheli, the smallest of the three main islands. The other island in the trio is Anjouan. The system of rotating candidates among islands was established in 2001 in a bid to usher in stability after more than 20 coups or attempted coups, in the years following independence from France in 1975. Among the candidates leading the field are vice president Mohamed Ali Soilihi, Grande Comore governor Mouigni Baraka and Azali Assoumani, a former coup leader and two-time former president. Athoumani Toioussi, an unemployed mother who was voting in the capital Moroni, on Grande Comore, said she would vote for Assoumani, despite his coup history. "Yes, he came to power through a coup but it helped get the country out of chaos," Toioussi told AFP. Another voter, Houmadi Ahmedi, favoured Baraka saying "he gave learning materials to elementary school." 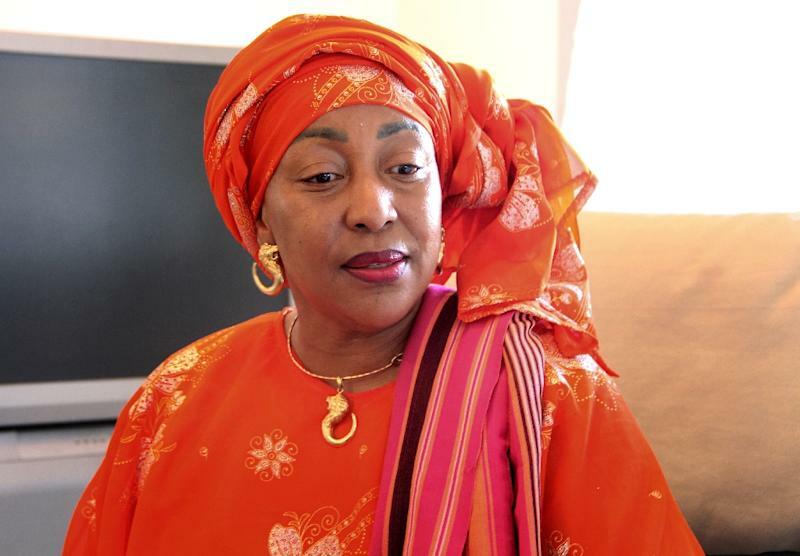 Moinaecha Youssouf Djalali, a businesswoman, is the only female candidate in a country where the majority are Sunni Muslims. 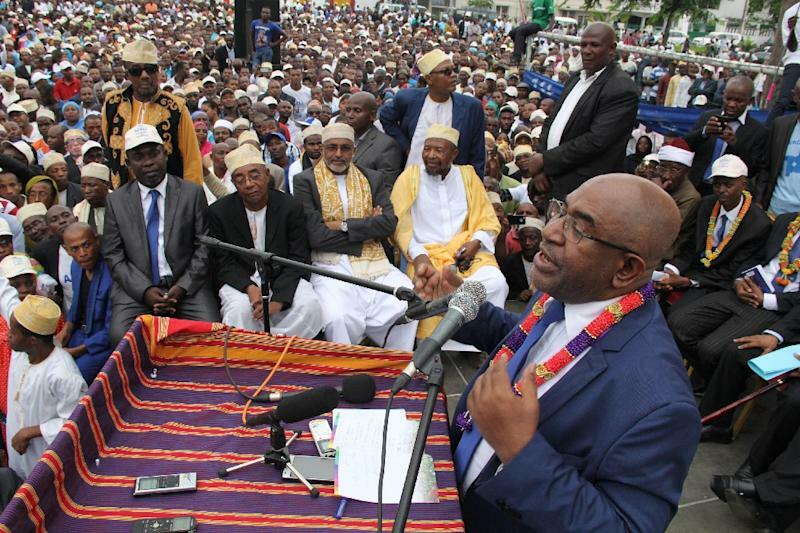 Dhoinine's successful completion of his five-year term has been seen as a sign of growing stability in Comoros, though many candidates had expressed fears of electoral fraud. "Real efforts are being made by the election commission and international actors to ease any political or social tensions," European Union representative Eduardo Campos Martins said. With suspicion poisoning the political atmosphere in the archipelago nation, "we are entering the sensitive phase now, with the tallying and counting," said Nadia Torqui, a UN consultant. The electoral commission on Saturday had agreed to a request from 20 candidates to ban proxy voting, seen as a possible source of fraud, "to preserve the peace". Voters were also set to be forbidden from leaving Moroni or moving between villages unless they had an official pass "to avoid double voting", the interior ministry said. The election is being monitored by dozens of African and international observers as well as a 425-person monitoring platform established by local civil society groups. The campaign of all 25 candidates had been centred on similar promises of free health care, education and infrastructure improvement, in a country where the roads are riddled with potholes and women and children queue for water. Voters were also choosing governors for the three islands. Early results were expected from Sunday night.